Many people have asked me, “When did you first take your kids to Disney?” “Should we take the baby?” “Are they too young to go?” And so on. Of course, this is just my opinion, but I wanted to share my answer. So, here it goes. Any age is the perfect age to take them to Disney. 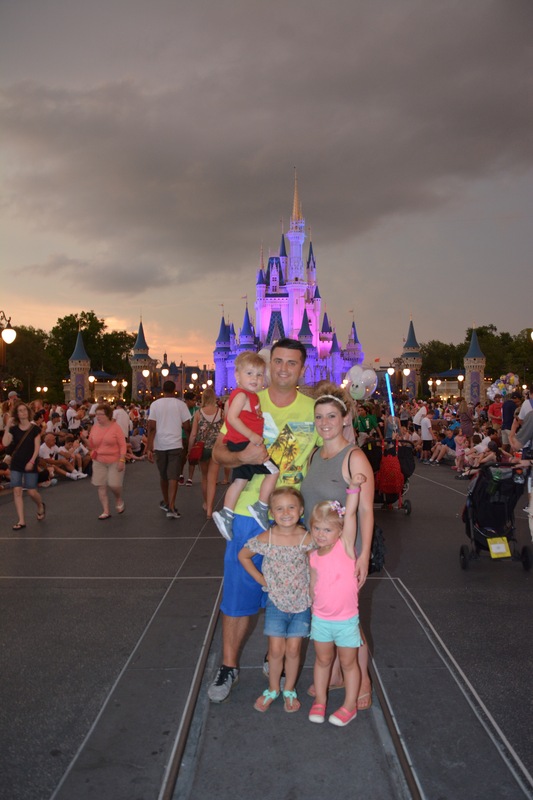 The magic of Disney can be enjoyed by all different age groups, separately and simultaneously. Sure, you will need to plan differently (which is why I created this blog) by planning for naps and breaks, pack different items like diapers and wipes (but seriously wipes are necessary for all ages) and such, but the fun can be had by all. The majority of rides at Disney World are family rides where you can just hold the baby through the ride. The shows are fun for everyone, but if they get too restless and need to leave early, no one cares. The park is packed with other families in your exact situation. Should we take the baby? 100% yes, take the baby. When babies are little they are fairly easy to tote around. Yes, this means you’ll need to plan for feeding times and diaper changes but Disney has that covered for you as well! Each park has Baby Care Centers located at different places. They pop up on the map section of the app under “guest services”. These special rooms have private nursing rooms, a full kitchen with sink, oven and microwave, a tv and sitting area and a little store where you can purchase things if heaven forbid, you forgot to pack something crucial. They really have thought of it all. So if “bringing the baby” is something you were worried about, worry no more! Should we wait until they are able to remember it? As parents, we have a window of time where we get to enjoy our children as children. As any parent will tell you, “they grow up so fast”. They are only little once, and pretty soon the realities of life hit and they won’t believe in Magic. Now, not to say you can’t still have fun when you’re older, you can and you will. But, when the kids are younger, they really believe that Elsa just turned the castle into ice, that Tinkerbell really flew over Cinderella’s castle, that the real Mickey Mouse really just gave them a hug. Don’t miss out on those memories for yourself. The memories you make when your kids are younger are for you. You will never forget the first time your shy child runs up to Chip and dances and plays without any care in the world. You will never forget the look on their faces when they see a real lion laying on a rock or a giraffe walking by. Seeing their excitement and joy is something that is truly priceless and you’ll cherish those memories forever. So who cares if the kids don’t remember this trip when they are 20? How many things do any of us remember from when we are younger? You will remember them, the memories are for the parents. Plus, you can tell them about it and show them pictures. Oh, and obviously you can go back again later when they are older and the trip will be different. Previous Previous post: Strategically planning the Magic Kingdom so you can do more, in shorter time.